My mission is to rescue. My hope is that one day I won’t have to. Villalobos Rescue Center is a rescue, rehabilitation and placement facility for abused and abandoned Pit Bulls (and other breeds). Our New Orleans location is open for tours on Thurs, Fri & Sat ONLY. Hours for tours are Noon – 3 pm. Admission is FREE but donations are always appreciated. No reservations are needed. VRC works ceaselessly to give Pit Bulls another chance in life. Each and EVERY dog taken in, gets spayed or neutered, and given any medical treatment necessary. We work patiently to re-acclimatize fearful dogs to the loving care of a human, so that they may eventually be adopted. In some cases, these dogs have never had a kind word or touch, and it is a slow process. After determining temperaments and compatibility factors, we begin that long search for the perfect home. Unfortunately Pit Bulls are their own worst enemy – their loyalty and devotion make them the perfect victim. Have we already forgotten about Petey? He was the loyal ring eyed dog of the Lil Rascals. 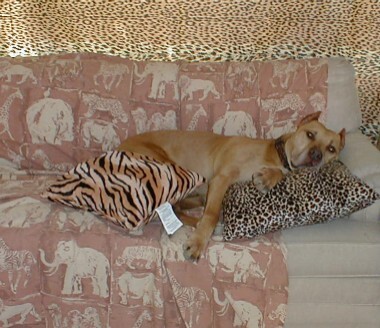 Yes, Petey was a Pit Bull! You see the dogs themselves haven’t changed – we have! We’ve turned these All American Family dogs into the killing machines of the ’90′s. It is our responsibility to turn this around. We owe it to them. After all, aren’t they man’s best friend? In August 2012, Villalobos Rescue Center (VRC) had a life changing experience. We moved our entire operation from Los Angeles County, Calif, where we had been residing for almost 20 years to….New Orleans, Louisiana. This decision took us almost a year to implement but it was our rescue efforts during Hurricane Katrina that just kept resonating in our mind and heart. 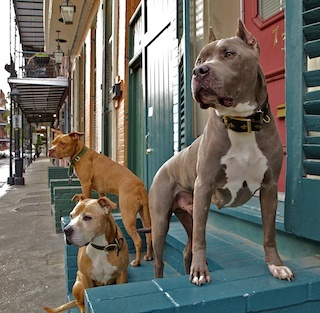 The need for helping Pit Bulls in the state of Louisiana is undeniably necessary. Though we expected it, we never thought it would be this overwhelming. 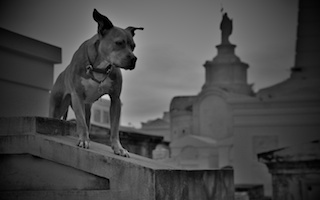 Because we are now centrally located in the heart of the city of New Orleans (9th Ward) and in the country/rural//swamp location of Assumption Parish, the never-ending flow of stray and unwanted Pit Bulls has now become an every day occurrence. Our normal average population of 300 (give or take) dogs here is quickly increasing. And as much as we wish it was just a matter “saying no”, this is not the case here. 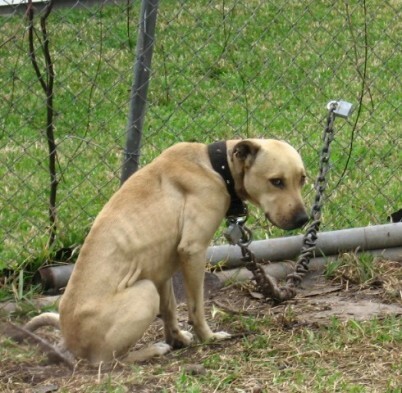 Dogs tied to our front gates, turned loose on our street, dogs chained up and abandoned in empty lots where houses once stood prior to Katrina….this is now our daily routine. Vet bills have tripled ($500k a year is our average) and it is obviously taking more staff on hand to take care of the dogs. 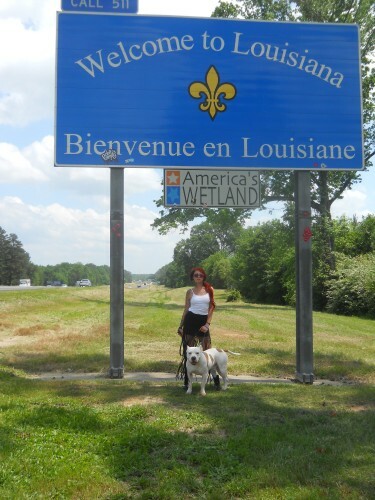 The state of Louisiana and its people have been great to us. We couldn’t be happier. But the plight of the Pit Bull is desperate here and we need to step up our manpower and our resources. Bringing our California dogs to the “friendliest state in America” was the best thing that’s ever happened to them. But due to a lack of resources in this state, there is always so much more work to be done. Despite having our own TV show on Animal Planet, it’s still unfortunately not enough. The number of Pit Bulls in this state that need help are greater than what we can provide through our TV reality series. They say it takes an entire town to save one boy……but in this case it’s going to take an entire army to save one Pit Bull. Please continue to help us fight the fight. From the historic French Quarter…. 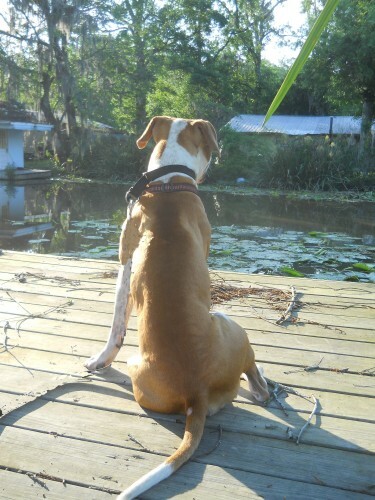 to the murky waters of the bayou, the Pit Bulls of Louisiana need us…and we need you. And in a city that was so forgotten back in 2005, let’s make sure that the people and the pets of New Orleans never feel that hopelessness again. From L.A. to LA. – Villalobos Rescue Center has found their new home. Now let’s make sure we can do the same for Man’s Best Friend. 1. Our average adoption rate is about 30-40 dogs a month. 4. “Unfortunately” we are the largest Pit Bull facility in the world with a daily average of 300-400 dogs. 5. Now that we are located in Louisiana, the majority of the dogs we are rescuing have HEARTWORM (99% of the dogs coming in have it) and our IMMEDIATE out of pocket expense is an average of $700.00 per dog. This is for spaying/neutering, shots, microchipping and heartworm treatment. 6. Our yearly vet bill averages $500K (that’s half a million dollars). 7. We take in approximately 100 dogs a month.